After many years I finally finished my dreadquake mortar which sat idle following some shameful performances during 8th edition warhammer and the times of the end (apologies broken Matt Hardy). 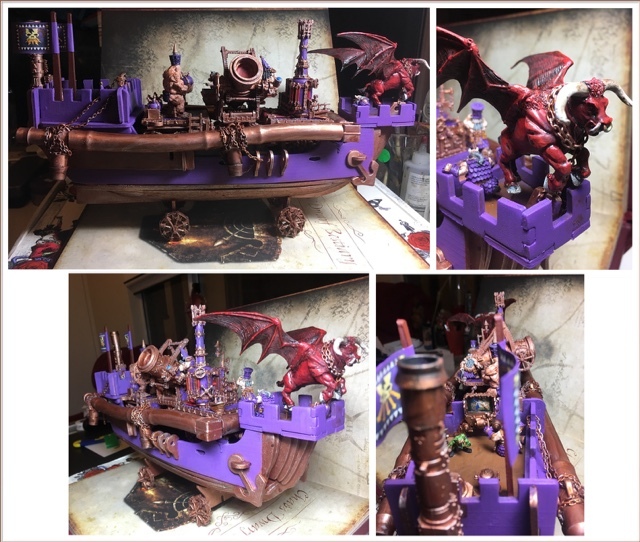 Anyway a competition on the mighty chaos dwarfs online for a dawi zharr inspired airship encouraged me to finally finish this amazing miniature. I am pleased to report I have also found it much more useful in the 9th Age in both its regular and bound daemon form. Despite the option for the land train not being available (yet?) I am extremely happy with this centrepiece for my infernal dwarfs. 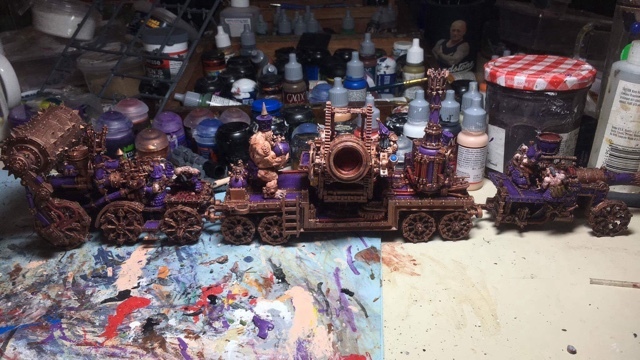 You will note the infernal engine has a rather nasty death roller to represent the steam hammer option. This always gets lots of looks at tournaments as it is moveable up and down. This is picture to my entry to the CDO airship competition. The dreadquake mortar formed a major part of my entry as well as the great Taurus who helped the airship take flight.